Christmas bear in a jumper gift tags for a personalised touch. 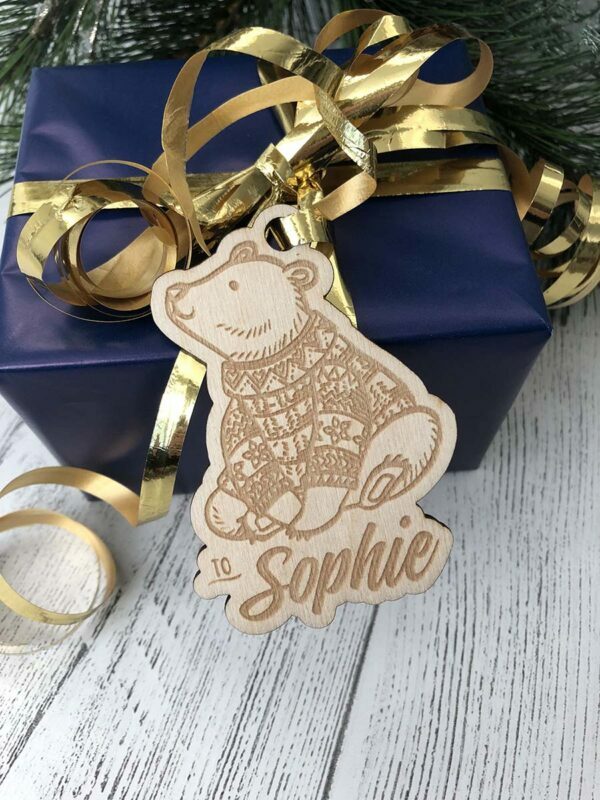 Add the finishing touch to your gifts with one of our wooden Christmas gift tags, personalised with the name of your choice. It’s the perfect keepsake, which can be brought out year after year.